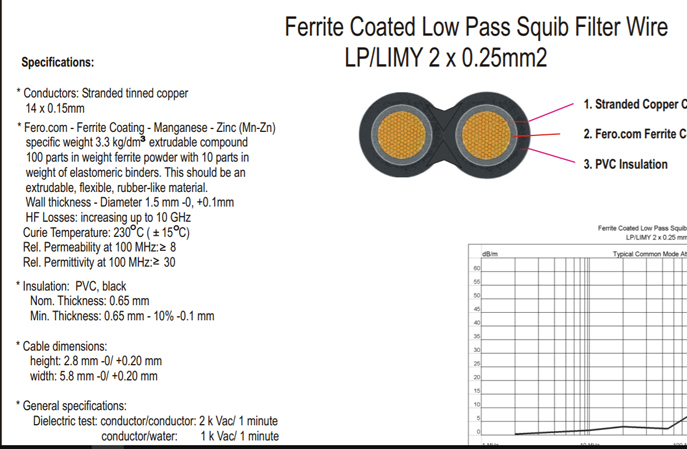 Ferrite coated stranded conductors are the basic components of the low pass cables. These conductors are frequently used separately hook up wires. These are manufactured in our China facility. 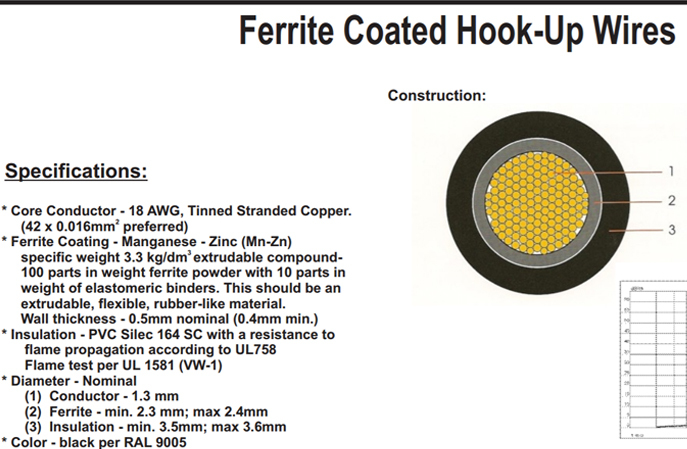 In addition to these ferrite coated hook up cables, we also produce ferrite coated coax cables. For cabling electronics device and control cabinets in environments with significant electromagnetic interference. Other cross section and colors are available upon request. The technical staff at EMC Eupen stands ready to assist you.